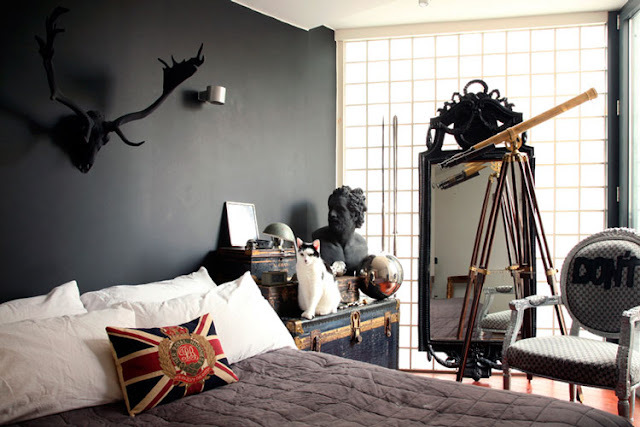 I've been choosing paint colors for my bathroom, and while I'm going for dark and glamorous, I've opted for a medium gray (Martha Stewart Flagstone to be exact). 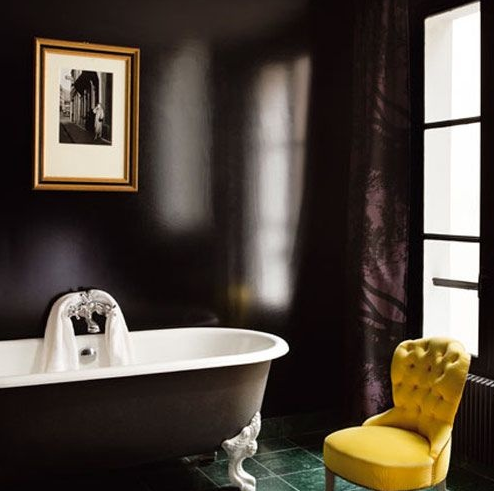 I love the photos I see of black rooms, and I would most likely paint a black accent wall in my bedroom if I didn't live in a loft, but it turns out I'm just not ballsy enough for an entire black bath. 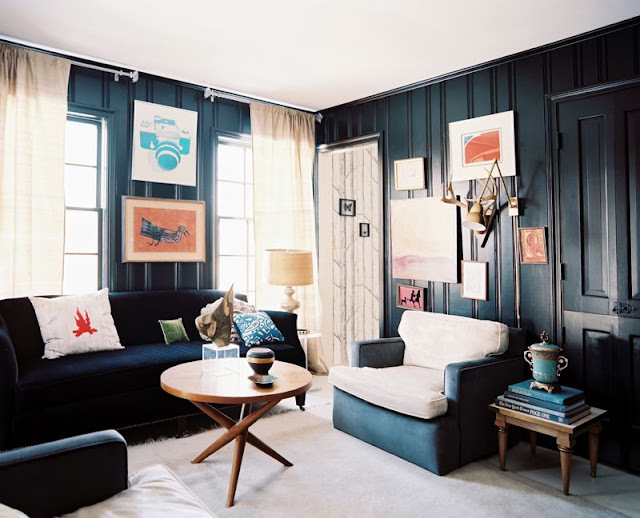 Have you incorporated black paint in your home decor? Would you? Nice pics.Thanks for this post.